Gallegos Corp. was honored to present a check for $754 to the Vail Veterans Program. 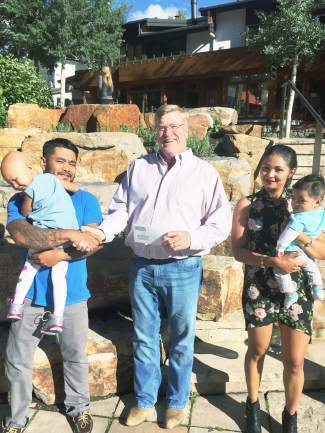 The Vail Veterans Program collected $377 in donations at the Vail America Days parade, which Gallegos was pleased to match. Thank you to everyone who stopped by the Gallegos tent and made a donation.